My Charmed Cabin Life: Have you met my friend Tana? Have you met my friend, Tana Mueller? I say "friend", but it's more like I stalk her online and at quilt shows...Why do I do this? Because she's freaking amazing!! Don't get me wrong, I have actually met her in person...I just haven't talked her into a girls night out yet...(it could happen?!) But for the record, I have met her in person....and stalking is such a strong word. Tana Mueller is the owner of Western Denim & Dirt and you can find her online with Facebook, Instagram (@muellertana), and of course, her own personal website: https://www.designsbytana.com/index.htm. She was born and raised in San Antonio, Texas....so NATIVE TEXAN! 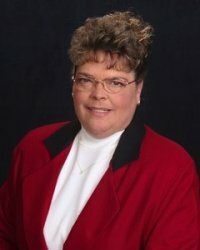 She's a great designer...very successful too, teacher, award winning quilter, retail shop and internet business owner. She now lives in Crowley (Texas, of course!). She is very personable and responds to every comment you leave on her social media. She's really in touch with her audience and fellow quilters. You are treated like a fellow talented and genius quilter! Tana has a history of working in emergency services and she retired with creativity spilling out of every pore of her body...You'll see when you check out her online shop. 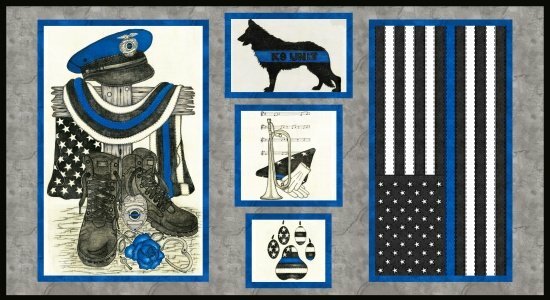 This creativity sparked several fabric lines that sell out quickly with the fabric company that produces them, Blank Quilting Corporation. Sometimes you can only find what's left in her shop online. If you see something you like or love, it's best to order it ahead of time. Her fabric lines tend to sell out in presale! Have you not heard of her? How? She is the creator of the Thin Blue Line fabrics! Did you know she just put out the Thin Red Line? 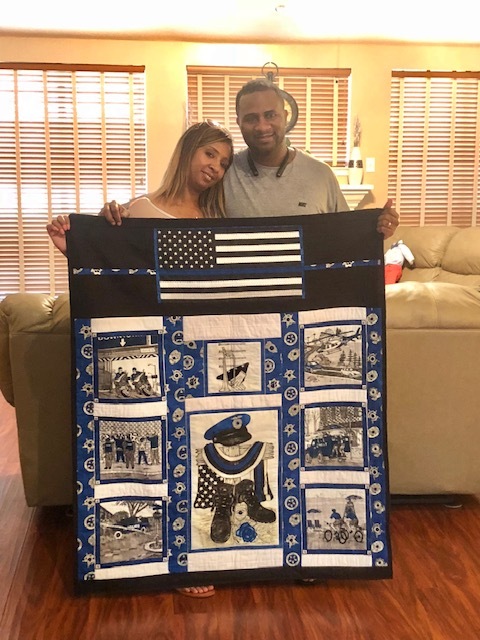 That's right...all your firefighter friends can stop being jealous of your Thin Blue Line quilt. Well, aren't firefighters always jealous of police officers? It's a cop joke...Taught to me early on...but some of my dearest friends are firefighters, so please know...it's a joke. Meant in good fun...And if you are a firefighter, and you have a joke about cops - post it in the comments! Who doesn't need a good laugh? Have you checked how soon Christmas will be here? The holidays will be here before you know it! Make a few throw pillows for your home and welcome your family home for the holidays. What's that, you say? Her latest designs? Oh, it's coming out next month. NEXT MONTH!!!! Without further delay...here is LOVE FOR COTTON! I already have my order in with one of my favorite quilt shops, A Cowgirl Quilt Shop....located in tiny Jewett near Lake Limestone. 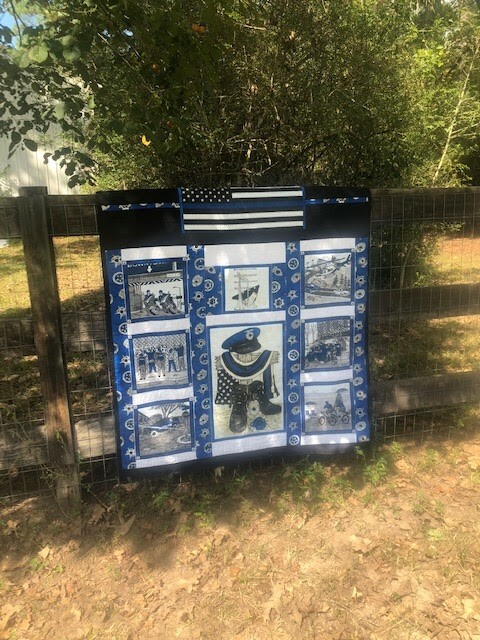 Here's Brenda's online shop: https://www.acowgirlquiltshop.com/. So check out my new FRIEND'S talent and see if you could add her designs to your fabric stash...She is one of my favorite designers and I know she will be one of yours too! Tell her I sent you and leave a comment on one of her social media accounts. She really does love hearing from her fellow quilters. Do you know of any other quilt shows coming up this weekend or next? Post the info in the comments!